What do you get the man who has everything? 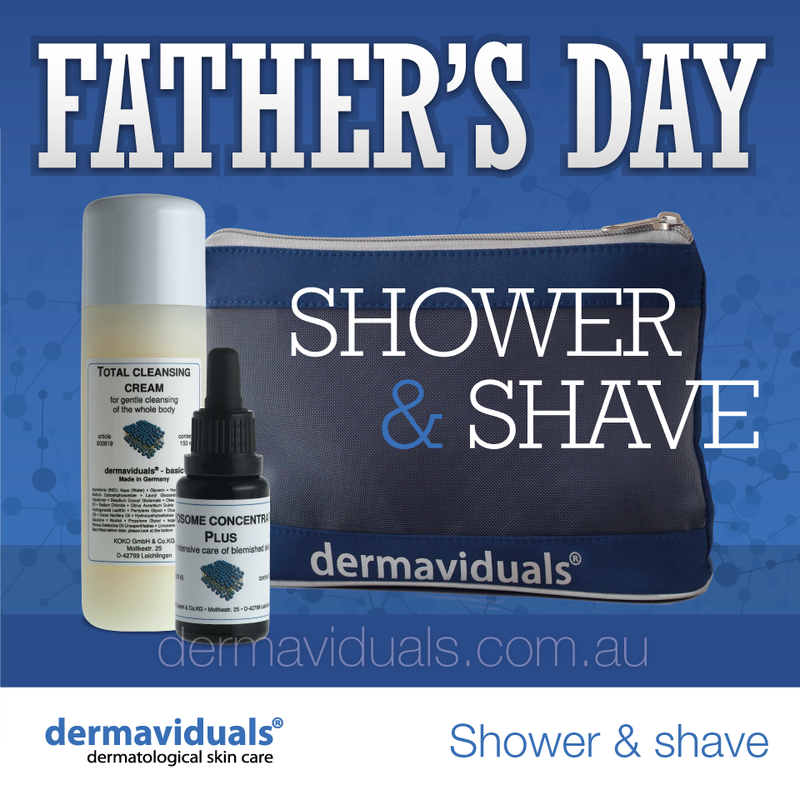 For Father’s Day 2014, may we recommend that you visit your favourite clinic and consider dermaviduals Shower and Shave Kit? Many men work hard to stay healthy, keep in shape and look good. They are dedicated to their workout and diet regimens, but often fail to take advantage of the wide range of cosmetic products created especially for men and manly activities such as the daily shave ‘n’ shower. 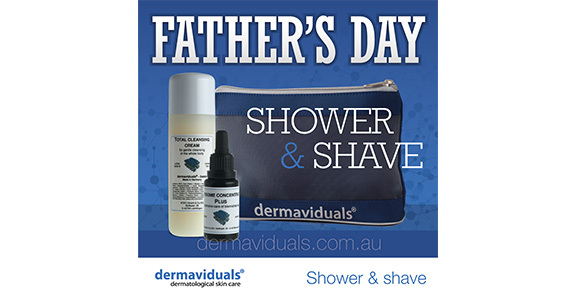 dermaviduals Shower and Shave Kit is arriving in stores just in time for Dad’s once-a-year special day. The Kit is a 2-step system that results in one great sense of clean and fresh. Total Cleansing Cream is a super timesaving multi-tasker. It’s a shaving cream, shampoo and face/body wash all in one. That represents real value for today’s busy man on the move. It effectively cleanses skin and hair and softens the beard without harsh ingredients. That makes it especially ideal for guys with sensitive skin who normally avoid shaving products. dermaviduals Total Cleansing Cream helps to remove dry surface cells and debris to allow for a close and gentle wet shave. Glycerin and other humectants deliver hydration and elasticity while a combination of healthy lipids (EFA) and gentle surfactants improves the razor glide for comfort and safety. All men (not just fathers) suffer from razor burn and all sorts of lumps, bumps, and unpleasant skin sensitivity that come from using traditional shaving products. It’s no wonder most contains skin-aggravating fragrances and preservatives, with nothing to counteract their effects and ease the pain. Dad deserves better than that! 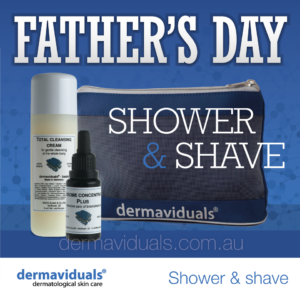 dermaviduals Shower and Shave Kit helps fathers of all ages stay un-lumpy and un-bumpy with Liposome Concentrate Plus – a highly anti-inflammatory and anti-bacterial serum that helps soothe skin after shaving. For a good shave, apply only a small amount to wet skin. Lather up in small circular movements. Use a shaving brush for more lather. During the shaving process rinse the razor under water to insure smooth glide. Leave the gadgets and gear for another celebration. This year, when Father’s Day arrives, shower Dad with a gift of love that he’ll use every day but would never think about buying for himself.